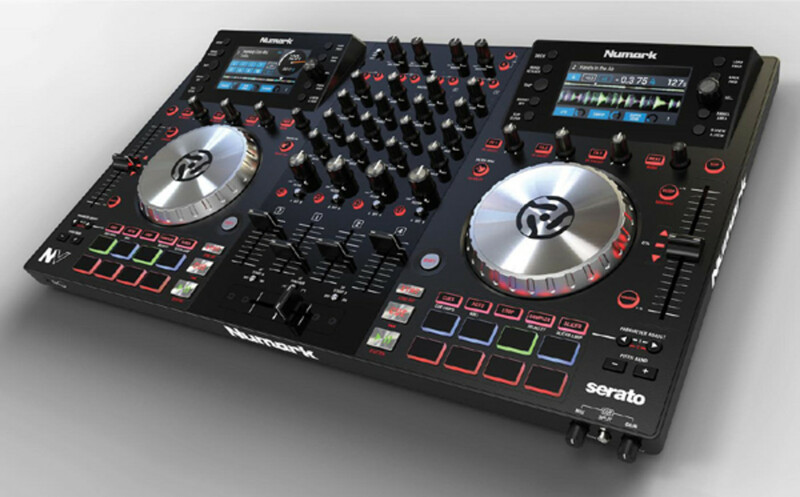 The Brand new Numark NV Controller promises to change the game by adding two 4.3-inch full color displays above each jog wheel deck so that users can see waveforms, cue points, loops, music libraries, effects, and all the other important visual information in Serato so that DJ's can put the laptop away for good. Check out our quick unboxing & first impressions video to see all that comes with the NV before our official Review. We're here at the 2014 Atlantic City DJ Expo where the Brand new Numark NV Controller promises to change the game by adding 4.3-inch full color displays above each jog wheel deck so that users can see waveforms, cue points, loops, music libraries, effects, and all the other important visual information in Serato so that DJ's can put the laptop away for good. Check out the full walkthrough video with Chris Roman of the Numark team to see what the Numark NV has to offer. 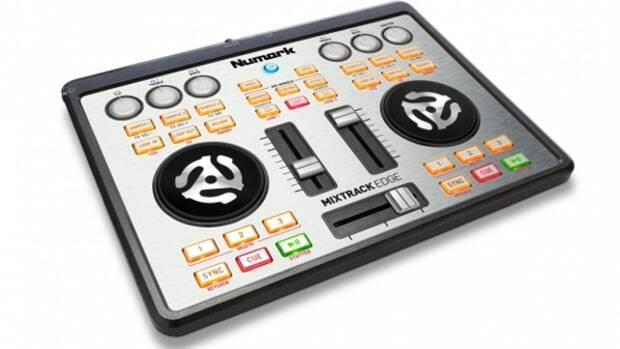 On Monday of this week, Numark has revealed it's newest DJ controller that they are dubbing as "The Next Big Thing" called the NV. 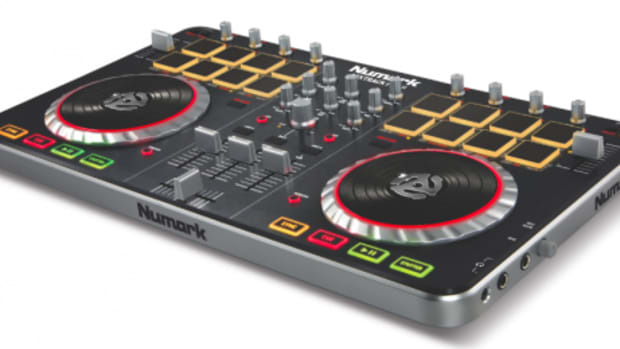 The Numark NV Controller promises to change the game by adding 4.3-inch full color displays above each jog wheel deck so that users can see waveforms, cue points, loops, music libraries, effects, and all the other important visual information so that DJ's can put the laptop away for good. The Numark NV Serato DJ Dual-Screen controller is on full display at the Atlantic City DJ Expo and everyone who attends can use the new Serato DJ 1.7 and see the full workflow of the Numark NV. We've had some time to play with the Numark NV and in this video, I'll give you my personal First Impressions and show you my thoughts on this new unique controller. We recently reviewed the new Dual-Screen Serato DJ Controller called the Numark NV and we found that it was a great device that allows the user to focus on the performance and crowd without gazing at the computer screen. 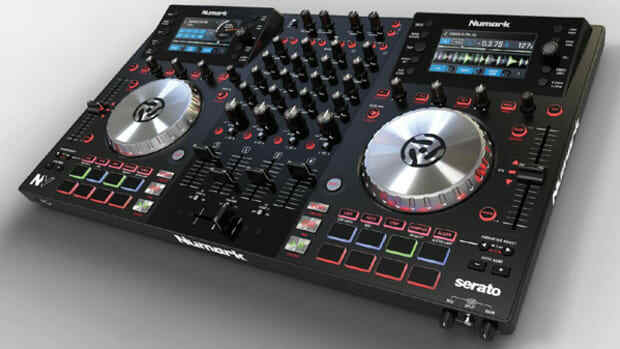 The Numark NV works with Virtual DJ but the Serato DJ experience is where it all started. Check out our full Video Review of the Numark NV, then check out the Dj Faibo X performance video to see it all in action. The Numark Mixtrack Edge was on display at the 2013 Atlantic City DJ Expo a few months ago where were able to get lots of play time with the new controller and the Numark team was also gracious enough to give us an exclusive walkthrough video to let us know what the Mixtrack Edge is all about. We now have our very own Numark Mixtrack Edge in the DJbooth.net lab for the full review treatment, but check out our unboxing and first impressions video in the meantime to see what comes in the box. We recently reviewed the new Dual-Screen Serato DJ Controller called the Numark NV and we found that it was a great device that allows the user to focus on the performance and crowd without gazing at the computer screen. The Numark team decided to release a new full-length tutorial walkthrough video so that everyone can see all the features on the Numark NV. Check out our full Video Review of the Numark NV, then check out the official Numark NV tutorial walkthrough video below for more information on this powerful controller. 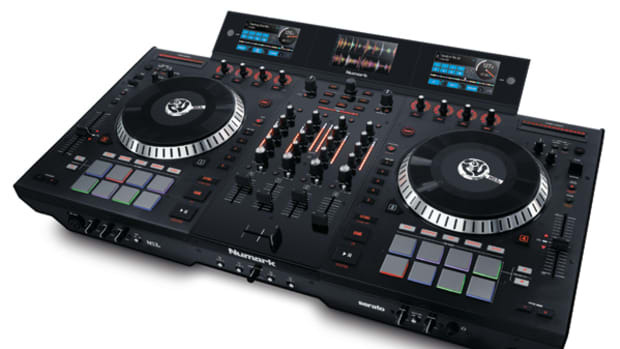 The Numark Mixtrack Pro II was recently announced at this year's NAMM 2013 show late last month and they are already on store shelves for DJ's everywhere to enjoy. The Mixtrack Pro II is a nice update to the original Mixtrack Pro as it now features a slimmer and sleeker design as well as the intuitive 16 Performance Pads that can control Hot Cues, Loops, Samples, and Effects. The full out HD-Video review will be ready shortly, but for now check out my Unboxing & First Impressions video to see what it looks like fresh out the box after the jump.